Gene was the third son of James Kelly, a phonograph salesman, and Harriet Curran, who were both children of Irish Roman Catholic immigrants. He was born in the Highland Park neighborhood of Pittsburgh and, at the age of eight, was enrolled by his mother in dance classes. However, Eugene preferred sports to dancing. He wanted to play pro football, but his mother organised him and his siblings as The Five Kellys, and they performed at amateur nights. 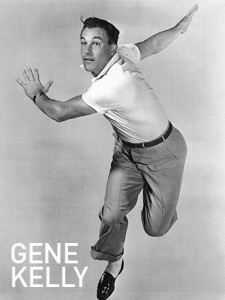 In 1932, Gene and his family opened the Gene Kelly Dance Studio. The following year, he graduated with a degree in economics from the University of Pittsburgh. Eventually, though, he moved to New York City and found his way into the chorus line of Broadway musicals. His big break was in the title role of the Broadway musical, Pal Joey in 1940. Two years later, he made his film debut in For Me and My Gal, with Judy Garland. Kelly became one of the top stars of the 1940s and 1950s. He didn’t just act, sing, and dance; he also served as choreographer, and in the process had a major impact on dancing in the movies. He also directed films, including Gigot and Hello, Dolly!. I took it as it came and it happened to be very nice. His most memorable films, most of which he choreographed, included An American in Paris and Singin’ in the Rain, one of the greatest musicals ever made, in which Kelly starred in the famous dance sequence of the title song, as well as Anchors Aweigh, The Pirate, The Three Musketeers, On the Town, Take Me Out to the Ball Game, Brigadoon and Invitation to the Dance. Kelly actually filmed the iconic sequence from Singin’ in the Rain while sick with a 103-degree fever. He continued working sporadically in films through the 1960s, appearing in Inherit the Wind, What a Way to Go! and 40 Carats, amongst others. Kelly was married to Betsy Blair for 16 years (1941–1957) and they had one child, Kerry. He was married to Jeanne Coyne from 1960 until her death in 1973. They had two children Bridget and Tim. He was married to Patricia Ward from 1990 until his death in 1996. I had no idea of the distance between New York and Philadelphia. It was all east of Pittsburgh. 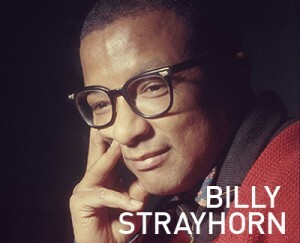 Billy Strayhorn (1915-67) was one of the greatest composers in the history of American music, the creator of a body of work that includes such standards as “Take the ‘A’ Train.” Strayhorn was overshadowed by his friend and collaborator Duke Ellington, with whom he worked for three decades as the Ellington Orchestra’s ace songwriter and arranger. Heralded as a “definitive” corrective (USA Today) to decades of patchwork scholarship and journalism about this giant of jazz, Stayhorn’s biography by David Hajdu – Lush Life depicts the “lush life” Strayhorn and other jazz musicians led in Harlem and Paris. Until his life was tragically cut short by cancer, the composer carried himself with singular style and grace.